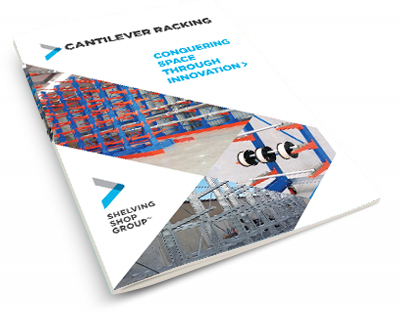 Cantilever pallet racking has been specifically designed for the safe and easy storage of long, bulky and/or very heavy loads. 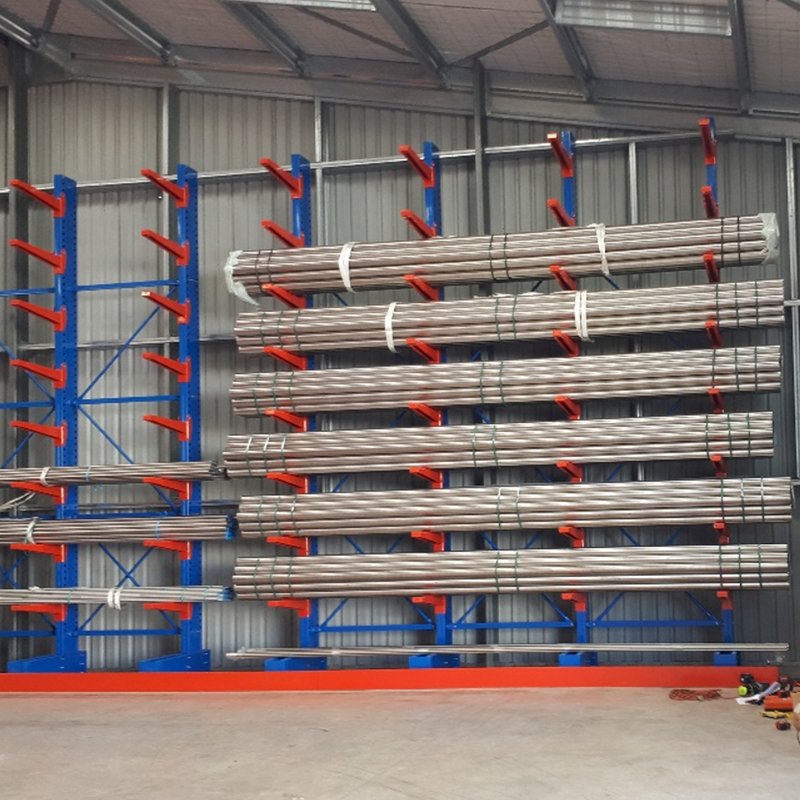 Our cantilever racking systems offer a versatile and cost effective solution for products which are traditionally very space consuming and difficult to store, such as lengths of steel, timber, pipes, extrusions etc. 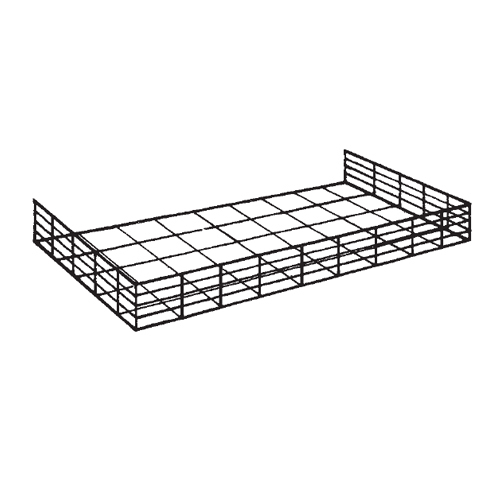 Cantilever storage racks are available in both single-sided and double-sided configurations. 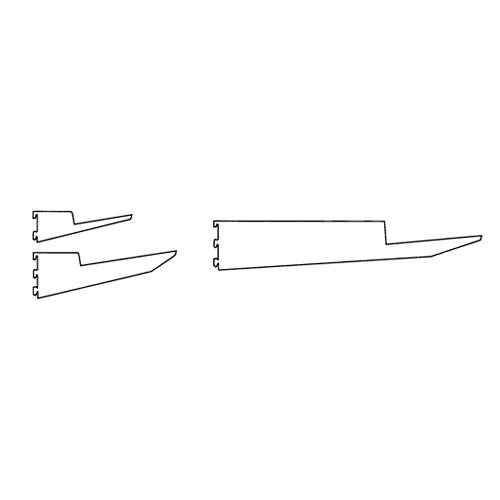 The arms are available in a variety of lengths to suit your specific requirements. 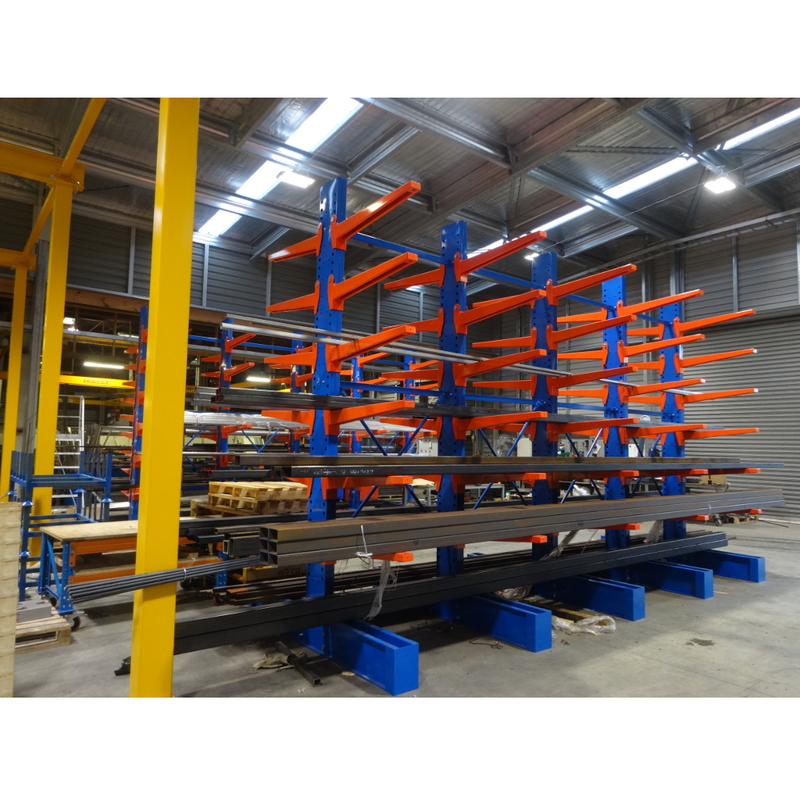 Shelving Shop Group ensures that the cantilever racking is manufactured to the highest standards for what you wish to use it for. 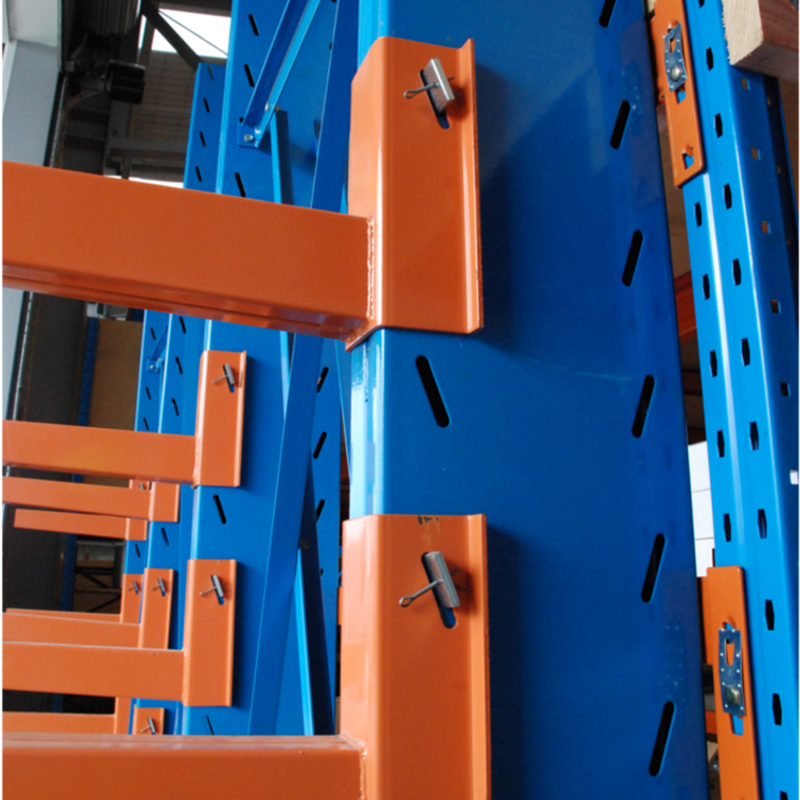 You are enquiring about Cantilever Racking. 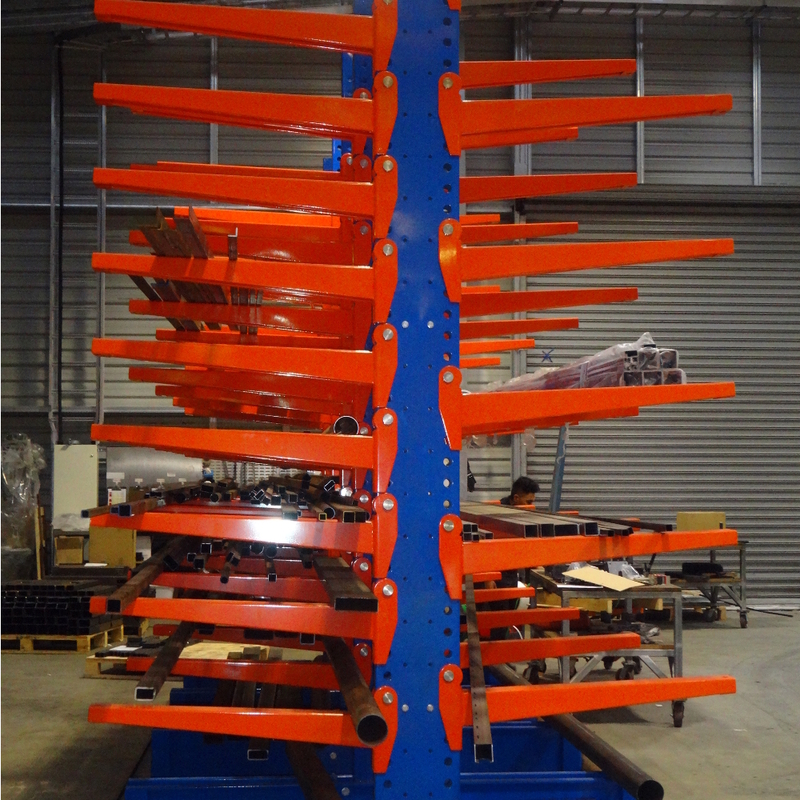 Our cantilever racking is simple to adjust and easy to use. 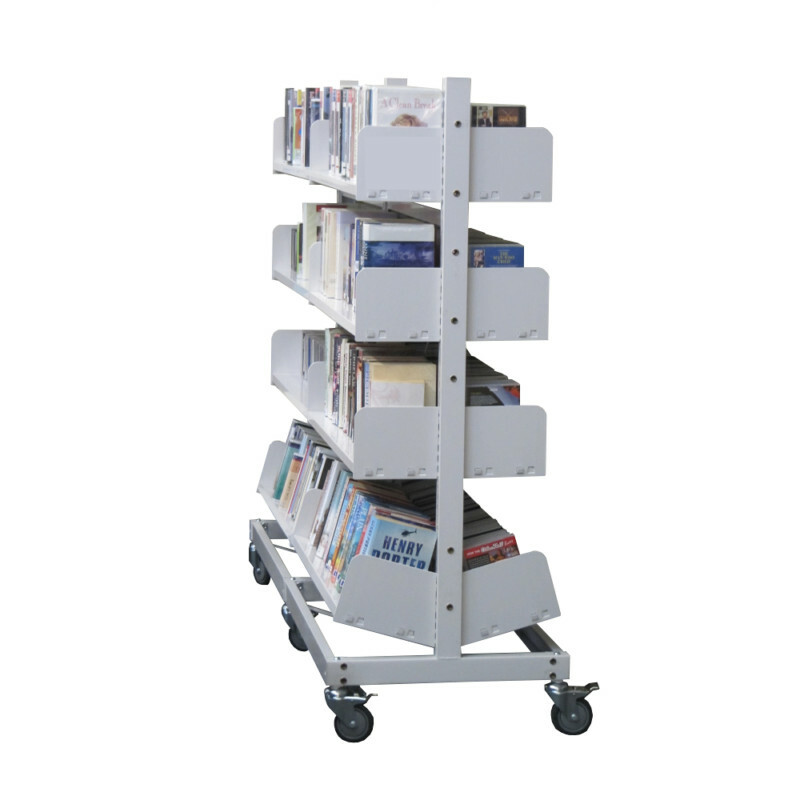 There is no front column to occupy horizontal space, so you can store any type of load with ease. 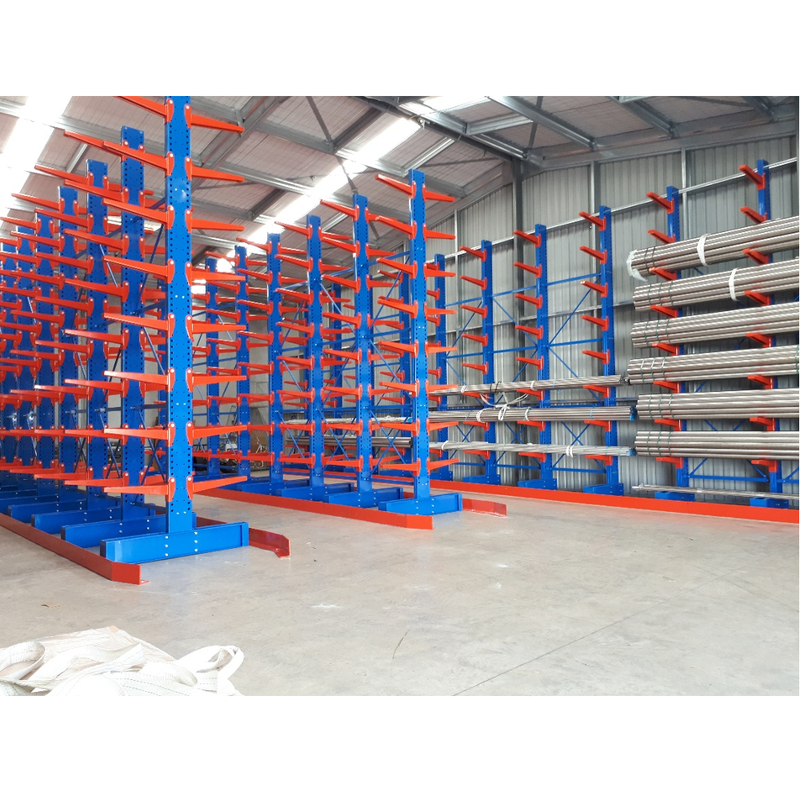 This robust, durable racking system supports extremely heavy loads, so that you can be assured that your products are stored securely. 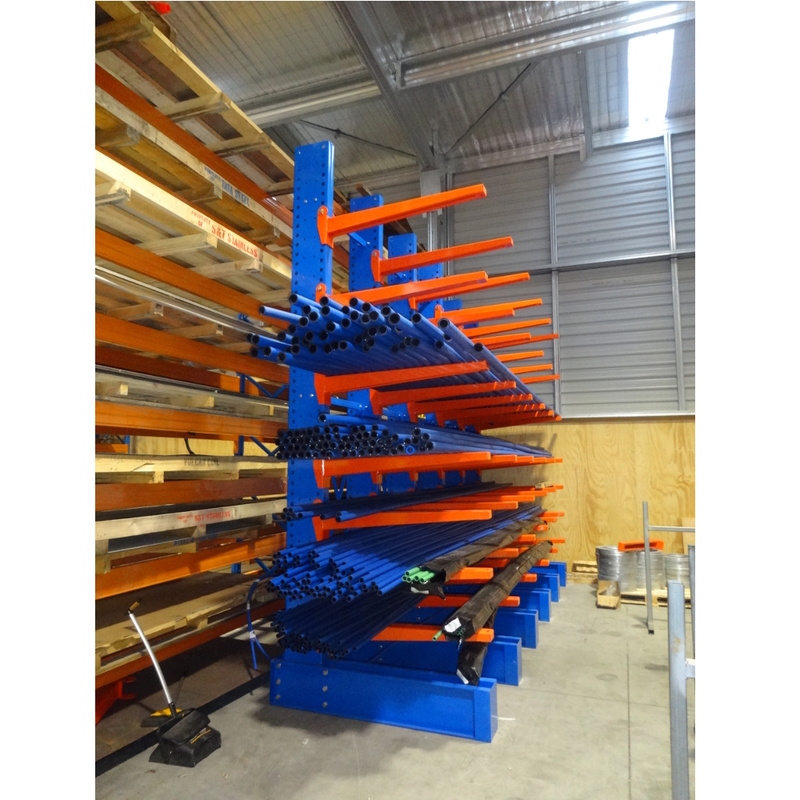 You can choose from either single sided or double sided racking configurations. 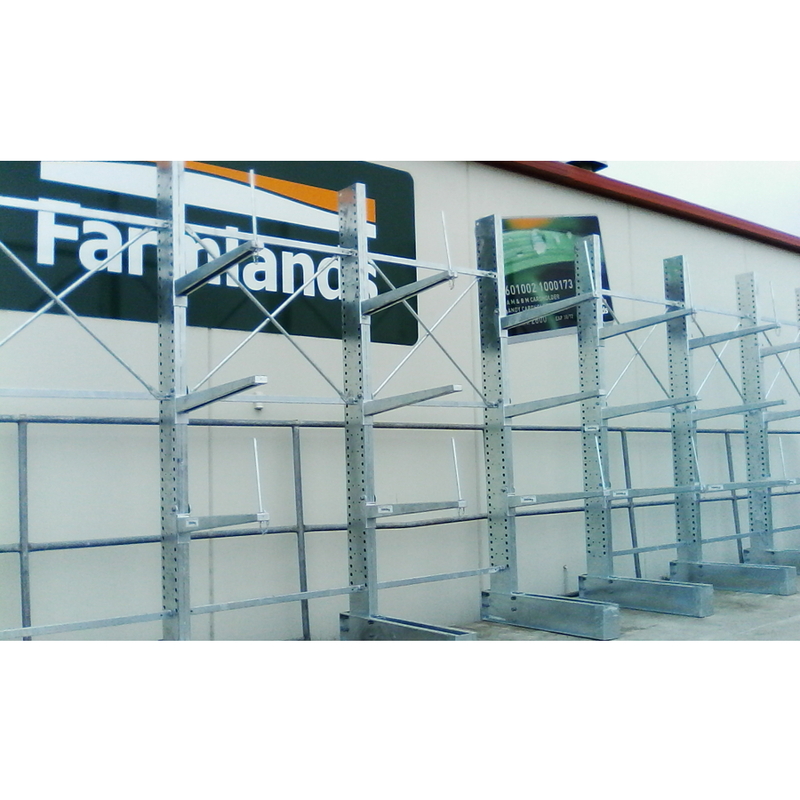 Single sided racking fits tightly against walls, while double sided racking maximises the storage capacity on a single column. 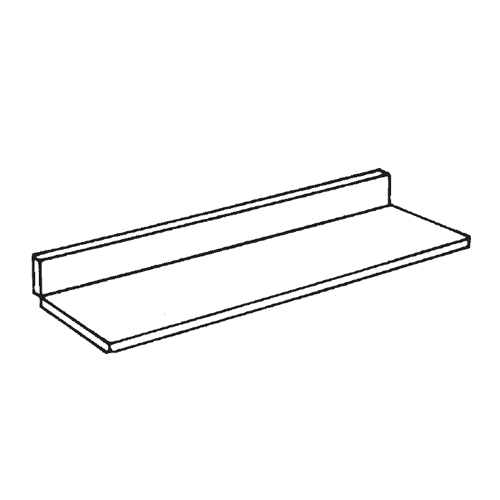 You can add and remove additional arms to meet changing storage requirements. 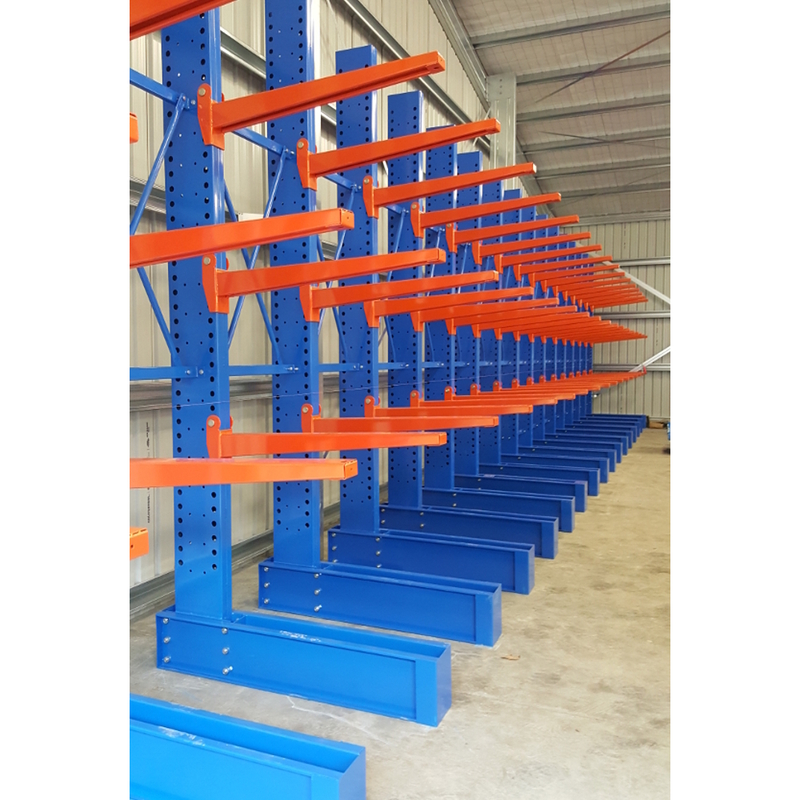 We offer our cantilever racking systems in a variety of different colours. Choose from either a powder coated or galvanised finish for a durable surface that is resistant to rust and corrosion. As there are so many different variables and sizes with this product, let us know what your requirements are and we can assist you with options to suit your needs. All of our products uphold the highest standards of safety and durability, and are suitable for the unpredictable seismic conditions of New Zealand. 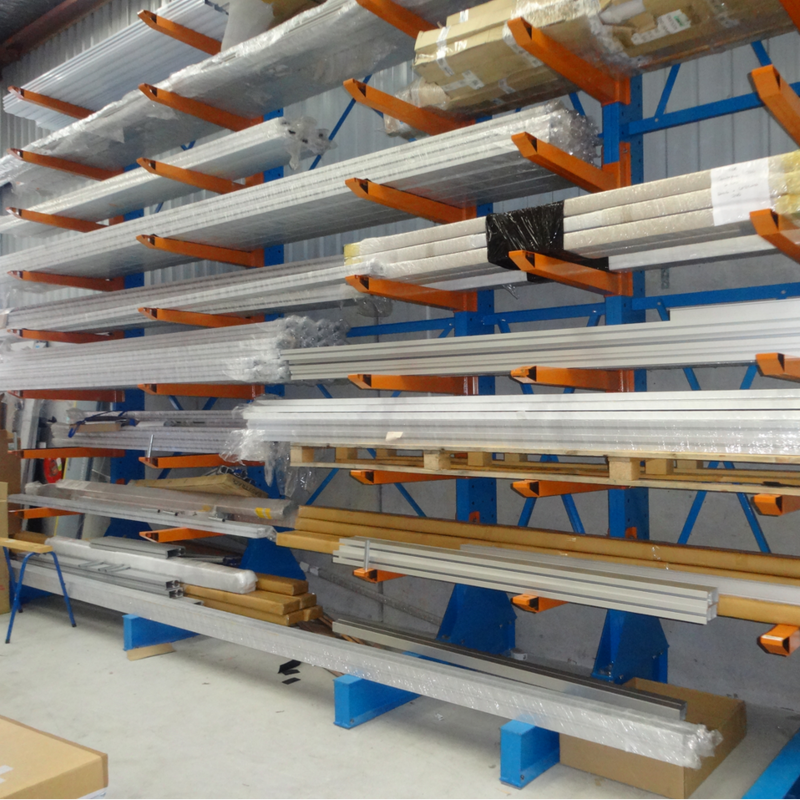 We supply most sizes as per your individual storing requirements and also subject to Engineer specifications for your particular area within New Zealand. 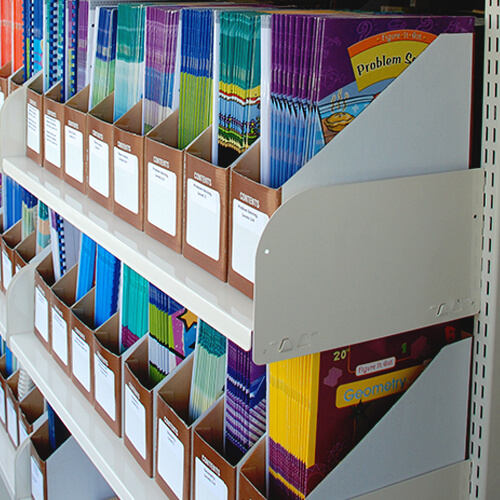 Simply specify your height, width, depth and number of levels and we can work out the rest. Standard colour is blue and orange. We can supply most RAL powder coat colours or if you have a particular Company colour we can do our best to match that, as well as a galvanised option, if required. Custom colours and galvanising does cost more; the beauty of branding. Being a specialised product, it is best that our team of installers carries out the installation, which will be added into your quote. Along with this, our Company guarantees our installers work.